Iglesia ni Cristo Day is a special national working holiday in the Philippines that commemorates the foundation of the Iglesia ni Cristo (Church of Christ) in 1914. It is observed on July 27 each year. The Iglesia ni Cristo (INC) is a Christian denomination that originated in the Philippines. It was founded by Felix Ysagun Manalo. He was raised in the Roman Catholic faith, but eventually became dissatisfied with its theology. Manalo developed the doctrines of his own and began to preach. On July 27, 1914, his church was officially registered in the government. The INC proclaims itself to be the one true church, i.e. the restoration of the original Christian Church established by Jesus Crist. About 2,5% of the country's population belong to the Iglesia ni Cristo, which makes it the third largest religious denomination and the second largest Christian denomination in the Philippines. Although the Philippines is a secular state, the INC is known for its strong social influence. 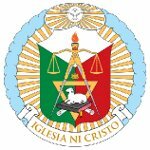 Iglesia ni Cristo Day was designated in 2009. In 2014, it was declared as a non-working holiday to commemorate the Church's centennial. It was a one-time designation, normally July 27 is a working holiday. The INC followers celebrate the holiday with fitting solemnity.